Two recent surveys, one Canadian and one American, demonstrate a gulf in perspective between aging parents and their adult children. 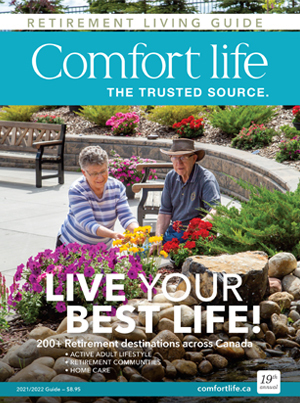 A Canadian survey by Ipsos Reid and Bayshore Home Health focused on differences of perspective between adult children and their aging parents. An American survey by the Pew Research Center, with input from a representative sample of 2,969 adults, showed that perceptions about health and aging are very relative to age. The Bayshore Home Health/ Ipsos-Reid poll was the Second annual Living for Today - Ready for Tomorrow. It collected data from interviews with two groups: seniors aged 65 to 85 in one group and people aged 40 to 45 with at least one aging parent, in another. The issue of personal finances was one important topic where there was a gap in communication. On one hand, both groups claimed that it is not difficult to discuss personal finances, aging, funeral arrangements, care and more. However, a significant percentage in each group admitted they avoid discussing these difficult issues. One quarter of adult children and one fifth of the seniors interviewed said they purposely avoid these issues. Holly Quinn, chief nursing officer with Bayshore Home Health noted that survey results provided "a unique snapshot of seniors and their families. By speaking to adult children as well as aging parents we were able to get a perspective on each age group as well as family dynamics." 90% of boomers admitted that they wished their parents would get regular health checkups and report any issues. Yet fewer than half of seniors believe that their children worry about their state of health. About four in ten adult children of aging parents believe that their parent needs help with grocery shopping, companionship and driving. Only 6% of seniors admitted that they needed help in these areas. One in ten adult children thought their parents had put themselves on a shortlist for a retirement home or long term care. The actual figure was closer to 3%. "It’s hard to say why these differences exist," says Quinn. "Either adult children perceive their parents as more frail than they actually are or seniors are trying to put on a brave face – or a bit of both." The results of the American-based survey by the Pew Research Center focused on these differences in perspective. The Social & Demographic Trends survey on aging demonstrated a gap between expectations by young and middle-aged adults about old age and the actual experiences reported by older Americans. The survey asked when people expected to encounter negative benchmarks associated with aging, such as sickness, memory loss, struggles with loneliness and depression, and difficulty paying bills. In every instance, older adults reported that these issues occurred at a far lower level than their younger counterparts indicated. Most telling is the notion of 'being old.' Those in the 18 to 29 bracket thought that the average person becomes old at age 60. Those 65 and older thought that a person does not become old until they turn 74. "Nearly two-thirds of adults ages 18 to 29 believe that when someone 'frequently forgets familiar names,' that person is old. Less than half of all adults ages 30 and older agree." In summary the survey's authors say that it "shows that the older people get, the younger they feel - relatively speaking." This agrees in principle with the gap in perception described in the Bayshore/Ipsos-Reid survey. The American-based survey also showed that many of the perceived benefits of aging - for example, more time to relax, time with family, time to travel - were in fact less of a reality than was hoped for. 87% of people aged 18-64 thought that retirement would give them more time for hobbies and interests, while only 65% of retirees reported this to be true. 86% think retirement will afford them more time with family. 70% find this to be true. 77% look forward to more time to travel. 52% of retirees admit that this is a reality. However, all those figures from senior respondents indicate that these "benefits of aging" still hold true for the majority of retirees. In the end, older adults are "about as happy as everyone else. The same factors that predict happiness among younger adults-good health, good friends and financial security-by and large predict happiness among older adults." Interestingly, Pew Research's data from US adults showed that discussions about wills and "end-of-life" issues were also discussed by only three quarters of families. These discussions were initiated most often by the older parents. While the Pew Research report did not deal with the issue of putting a name "on a waiting list for an assisted living facility or nursing home," results did show that roughly 55% in each group admitted they had discussed "what to do if parent(s) can no longer live independently." Quinn says that an impetus in publishing the results of the Bayshore /Ipsos-Reid survey is the need to close any and all gaps in communication about critical issues. "We’re hoping that Canadian families take steps to ensure they are understanding the real needs of their aging parents." About free bets no deposit mobilediscussing a retirement home with your aging parents.